Power struggles often are associated with: what goes in their body, what goes out of their body, what goes on their body, and where they put their body! We cannot force feed our children by shoving food down their throats or Toilet Train them by forcing them to urinate or defecate. Those are things that are completely within their control. Our kids are pretty good about regulating their bodies' needs. They are going to do what they need to based on their bodies’ cues, so the more we get involved the more they tend to resist and push back. So what is a parent to do? There are small things we can change in our communication style that will invite our children to do what we ask. 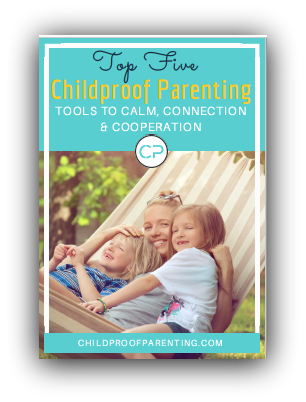 Here are just 3 tips and strategies to invite your children to cooperate when you need them to. We frequently hear from parents that they feel like their children are trying to “manipulate” them. Parents are reporting this behavior as early as the ripe old age of two! And yes, these children can and do become very skilled manipulators or negotiators. However, this only happens when someone has been modeling and teaching these skills. As I shared in a previous post Threats & Bribes: Two Sides of The Same Coin, Children are not born with these skills; they acquire them over time. How does this happen you might ask? It happens when we, as their parents, use what are commonly known as threats and bribes as a means of parenting or discipline. Yes, we have all tried it at one time and are all guilty. Quite honestly, they can be very effective in the short term. Threats and bribery can produce the results we want almost immediately! What most parents do not realize is that there are huge costs to utilizing these tactics in the long term. They can literally backfire. · Dessert is available to those who have eaten their healthy foods. · I'm happy to provide iPad time when the chores are done. · I’m happy to buy you the clothes I feel are age appropriate. • If they don’t pick or want a third option, you simply choose for them “No problem, I’ll decide.” Follow through on that choice. 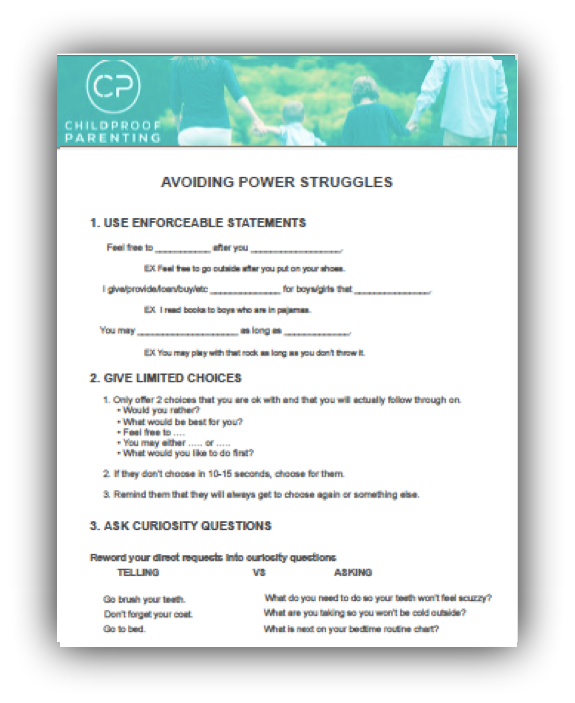 • To stay out of a power-struggle, offer the child an opportunity to make a choice on something else. • Keep your tone and attitude calm and relaxed as if this is no big deal for you. You are fine either way they decide. Getting clear, inviting your child to be a partner and showing curiosity will not only increase the likelihood that your child does what is asked, but it also fosters a relationship between you and your child that is built on trust and mutual respect. Try one or all three tips today and see what happens. This is a process so experiment, be consistent and most importantly have fun with it! - IS FEEDING YOUR CHILD A MAJOR BATTLE THAT HAPPENS EVERY 4-5 HOURS? - LOOKING FOR SOME HELP GETTING YOUR KIDS TO EAT THEIR VEGETABLES? - WANT YOUR KIDS TO TRY NEW FOODS WILLINGLY? - WOULD YOU LIKE TO BE ABLE TO SIT DOWN AS A FAMILY FOR DINNER? What expectations are realistic as it pertains to what your child is capable of and needs to eat. How to encourage your child to try new foods. How to effectively avoid and manage challenging behaviors when it comes to your child eating and being a participant at the family table. A fundamental understanding of the division of responsibilities between you and your child when it comes to eating and feeding. How to meal plan using age-appropriate portions.